With the turn of the seasons my skin can become quite combination, and while I am always trying to break down my oily skin with ingredients like salicylic acid – this can dry my skin out further. So it is extremely important to me to ensure that I am keeping my skin hydrated through drinking enough water and replenishing moisture with my skincare. We all know I have a love affair with French pharmacy brands. This is largely due to Lisa Eldridge who says she uses French pharmacy skincare on models to tackle so many skin concerns. 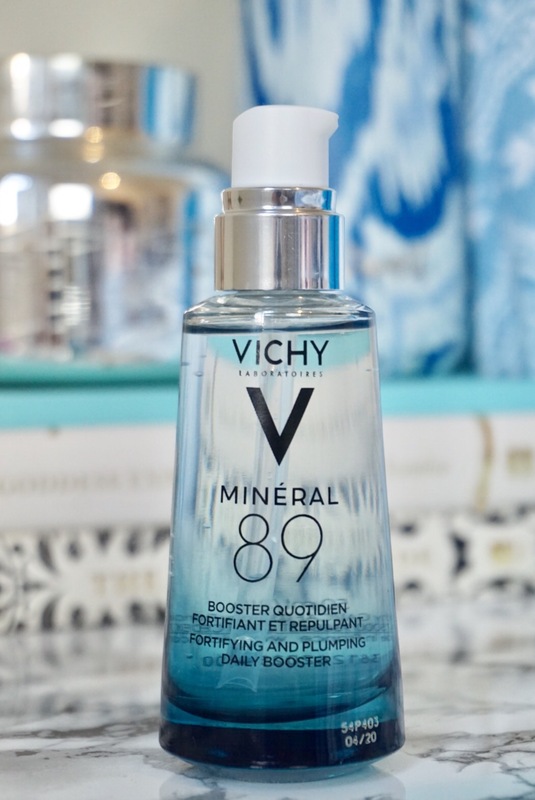 There are many French pharmacy staples you will ALWAYS find in my home on rotation, Vichy Mineral 89 is now one of them. You might remember in summer I was lucky enough to receive a pre-sample, I finished every last drop so I am very excited to announce it is now available from BOOTS. When I find my skin is dry and needs extra protection, I use this almost like an essence. I apply 1 pump (morning and evening) to cleansed skin and follow with serum and moisturiser. It is a fresh gel texture that absorbs instantly. Mineral 89 reinforces your skins barrier to protect against environmental and internal aggressors, keeping skin calm and hydrated. The serum is 89% Mineralising Thermal Water enriched with 15 rare minerals and Hyaluronic Acid. Delivering an intense boost of hydration while creating a completely transparent veil to protect your skin against daily pollutants as well as visible effects of stress and fatigue. With only 11 ingredients, it is very pure and has been tested on the most sensitive skin – no fragrance, parabens, oil or colourants. Here are some of my other French Pharmacy favourite available at boots, what are your favourites?